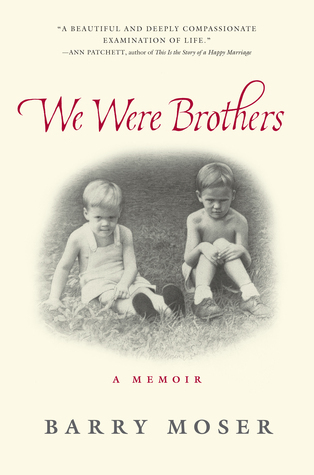 Preeminent illustrator Barry Moser renders the memories of his youth–in luminous drawings and candid prose–on his quest to understand how he and his identically raised brother could have become such very different men. Barry and Tommy Moser were born of the same parents, were raised in the same small Tennessee community where they slept in the same bedroom and were poisoned by their family’s deep racism and anti-Semitism. But as they grew older, their perspectives and their paths grew further and further apart. From attitudes about race, to food, politics, and money, the brothers began to think so differently that they could no longer find common ground, no longer knew how to talk to each other, and for years there was more strife between them than affection. When Barry was in his late fifties and Tommy in his early sixties, their fragile brotherhood reached a tipping point and blew apart. From that day forward they did not speak. But fortunately, their story does not end there. With the raw emotions that so often surface when we talk of our siblings, Barry recalls why and how they were finally able to traverse that great divide and reconcile their kinship before it was too late. Featuring Moser’s stunning drawings, especially commissioned for the book, this powerful true story captures the essence of sibling relationships—all their complexities, contradictions, and mixed blessings.